Everest Base Camp luxury lodge trek is the excellent trek that takes you to one of Nepal’s comfortable and secure lodges, exquisite cuisine and the community of Sherpa’s where the trekkers are warmly welcomed. This is the trek to the Base camp of World’s famous and highest mountain “Mt. Everest”. The Trekking path between luxurious lodges of Everest region takes you via beautiful Nepalese villages with impressive views of the Khumbu and the Everest region. The hotels provide the highest level of service that is general and a long way better than anything else to be had in the place with landscaped gardens, secure lounges, and bedrooms as well as hot showers and western lavatories. The main attraction of the luxurious lodge trek in Everest is the opportunities to stay in the greatest nearby luxury accommodations and revel in the typical Himalayan lifestyle. So, those Everest lodges are the world’s most luxury inns, providing panoramic views of a number of the best mountains in the World including Mt. Everest and other snow-capped peaks. The 16 -day Everest Base Camp Trek in luxury Lodge begins with the sightseeing tour of the historic and cultural monuments in Kathmandu valley. 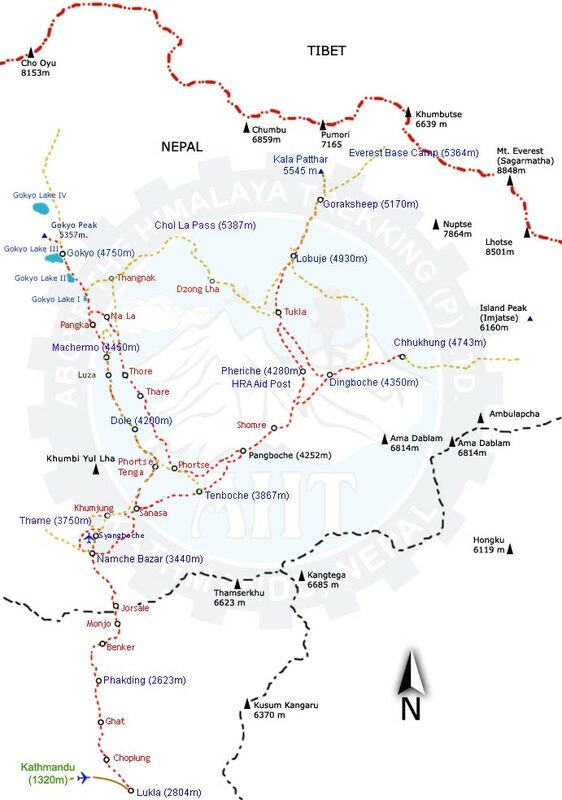 The very next day, tour starts with an inspiring Himalayan flight to Tensing Hillary Airport at Lukla which is likewise marked in the National Geographic. We will then reach to Namche Bazaar visiting the Sherpa villages and proceeding to Thyangboche Monastery, Pangboche which has the oldest monastery in the Khumbu valley and Thame. Tengboche is one of the high-quality places to capture the top-notch splendor of Mt. Everest, Amadablam, and their neighboring peaks. The trip will be enjoyable in a luxurious way with an astonishing scenario. 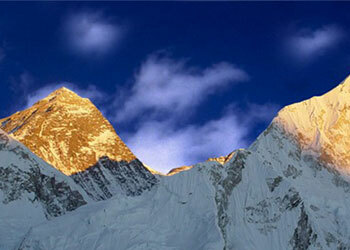 Everest Base Camp luxury lodge trek takes you to the awesome series close to Khumbu place such as Mt. Everest (8848m), Mt. Makalu (8463m), Mt. Cho Oyu (8153m), Mt. Lhotse (8501m) and Mt. Lhotse Shar (8393m). At each Everest lodge, we will be awaited by the luxury and warm welcome with relaxing and pleasant evenings. You will enjoy each and every moment of this trip, the delicious foods, and the perfectly comfortable stay. This Everest Base Camp luxury lodge trek is for those wishing to experience the Everest region’s spectacular landscape without going to altitude extremes and also for the first time trekker wanting to maintain home comforts. Besides trekking, you will be taking a glimpse into the life of world famous climbers, the Sherpa and inspect around a world heritage site of Sagarmatha National Park. We can view the colorful prayer flags, Mani walls, and monasteries along with splendid views of the Khumbu and Everest region. Trip Snippets: 16 days, 4 night’s 5-star hotel, 11 nights Luxury Lodges and best available lodge , Breakfast in the city 3 meals a day ( breakfast, lunch and dinner during the trek). We will meet you at Tribhuwan International airport in Kathmandu and transfer you to the Hotel via private coach. After you have some rest and freshen up, come for a visit to our office. We will have a short briefing about the trekking and check for your equipment required. If you arrive at night, this would be done on next day morning. After breakfast, we will leave for the cultural tour of Kathmandu valley. Kathmandu Valley Sightseeing Tour includes visiting the Patan the city of fine art, Swoyambbu Nath (Monkey Temple), Pashupatinath Temple and Boudhanath Stupa. Returning to the hotel, enjoy the local streets with the leisurely walk and get involved in the local lifestyle. Prepare for the trek to be started following day. We start our trek with a pleasant walk through the forest with a magnificent view of mountains. We follow a spectacular path that traverses around the hillside high above the Dudh Kosi River. After walking for one hour you will arrive at Phungithanga. The trail climbs past some water-powered prayer wheels and begins a sustained climb through a forest of tall, mature rhododendrons. Look out for musk deer and Himalayan tahr among the trees. The start of the Tengboche (3870m), the village is scattered across a wide, grassy saddle below a crescent-shaped ridge covered by scrub pines and firs. From the viewpoint at the top of the hill, there are awe-inspiring views of distinctive peaks like Amadablam (6856m), standing proud of the massif containing Everest (8848m), Nuptse (7861m), Lhotse (8501m) and inspiring views of Himalayan giants. We visit the Buddhist Monastery at Tengboche, the largest in the Khumbu region. After crossing the suspension bridge over the Dudh Koshi River trek onwards to the Kyanjuma the junction of the trinity ways to Gokyo Valley, Khumjung village, and Namche Bazaar. Dense wildlife of some species of Pheasants, Himalayan Griffons, Musk deer and wild goat can be found abundance inside the rhododendron forest. Evening explores the small surrounding area with magnificent scenery. Saying a final goodbye to our porters, we will have a flight back to Kathmandu of an exciting one hour. (It also can be a spare day in case of bad weather in Lukla which makes the Lukla flight delayed and canceled. Overnight stay at a hotel. Today you will have a free day in Kathmandu valley. Have some rest in your hotel. You can also take a leisurely stroll over the streets and buy some souvenirs and remembrance from Nepal. At evening we will have a typical Nepali dinner accompanied with cultural shows. 5-star Hotel Accommodation in Kathmandu including breakfast.